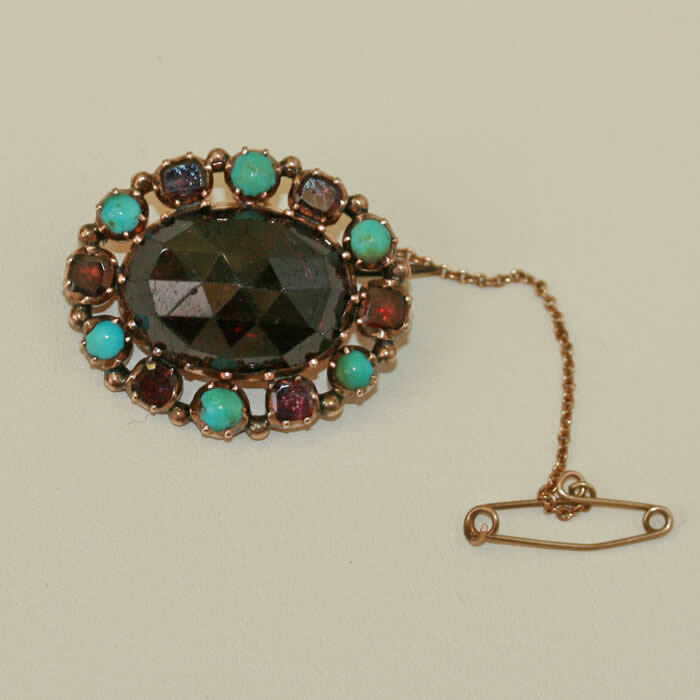 Victorian garnet and turquoise brooch. Product code: M210 Categories: Antique, Antique Brooch. This is a wonderful mid-Victorian era brooch set with a vary large garnet, surrounded by more garnets and turquoise. Dating from the 1860’s, it is made in 9ct rose gold, and has achieved the most delightful patina that only age can produce. Fitted with a safety catch for further security, this can so easily be worn during the day or dressed up for the evenings.